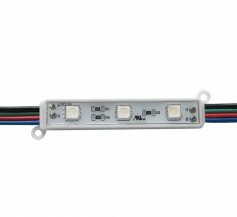 RGB LED Light Module. Used for Backlighting, Cove Lighting and sign Lighting. 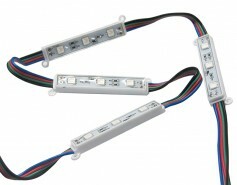 These are outdoor rated CSA Listed RGB Colour Changing LED Modules. Please note that a RGB Controller is required to Operate these LED RGB Modules. PLease see our accessories section or Contact us for our Controller Options.